A junkie races his addictions. 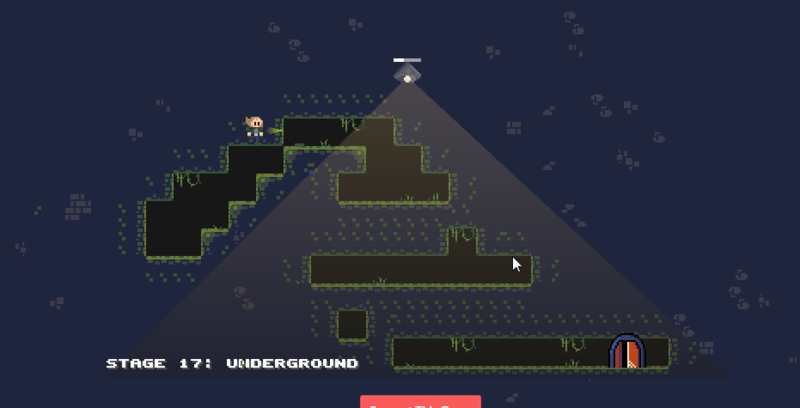 A small fps project made for LD41. Roll around and avoid the gaps! Ran out of time unfortunately. Awesome, perfectly fits the theme and fun to boot! I found a small bug where if you change your direction, you can "dive out" of the wall, but actually be aimed into another wall. Then you can "dive in" and be hidden outside the walls. In the screenshot I was originally inside one tile down and one right, I aimed up, pressed X, then quickly switched my aim to the top-left. Also, it's possible to get stuck on the early stages since you can dive into the floor but can't aim up to get out. There should be a delay from the next level being loaded, depending on your CPU and hard disk speed. How long was it frozen? Be sure to export Linux and Mac versions. Great! I think there's a problem with the difficulty, it seems to stay at whatever level you lost on. 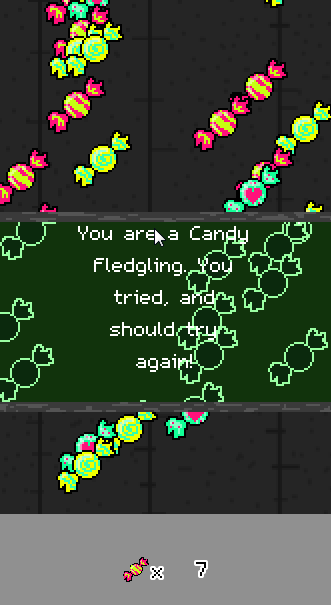 Plus, repeat playthroughs seem to layer candies on top of one another, making it prone to clicking two candies at once. Godot Community Game Jam - June 2018 community · Created a new topic Theme? I have a wire Xbox 360 controller. You might also ask in the discord. Godot Engine for the game, Aseprite for art, Caustic for music/SFX. 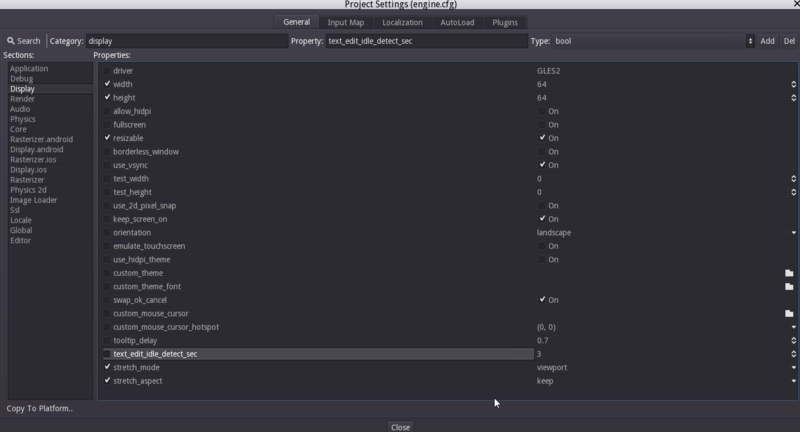 Hey, here's a quick tutorial for setting up Godot engine to render at 64x64 resolution. The important things are width/height (64), stretch_mode(viewport), and stretch_aspect(keep). X-Jam 2016 community · Posted in 1st Week Down! - Post Your Progress Here!